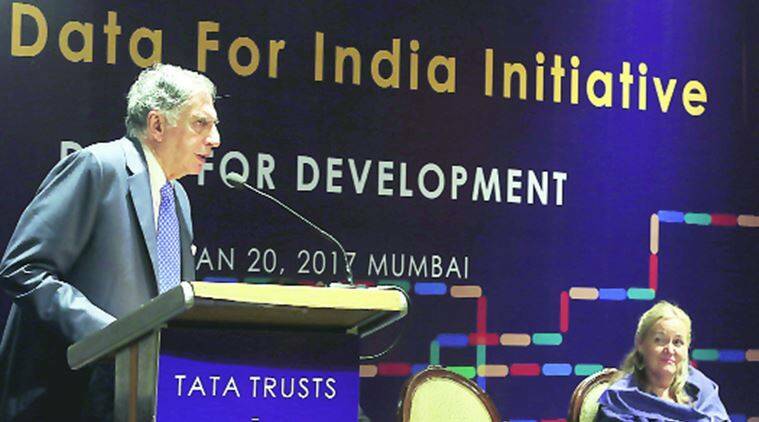 The City Data for India Initiative, a major joint initiative from the new partnership between the World Council on City Data (WCCD) and the Tata Trusts was announced in Mumbai on January 20th, in a bid to build high caliber data in Indian cities. At a national roundtable held in Mumbai, and opened by WCCD President & CEO Dr. Patricia McCarney and Chairman of Tata Trusts Mr. Ratan Tata, the assembled delegates also celebrated the WCCD ISO 37120 certification of the first, three cities in India - Pune, Surat and Jamshedpur. “The WCCD is committed to supporting cities across the globe to develop a culture of data, which drives a culture of innovation for a more inclusive and sustainable prosperity, which is the essence of smart cities and smart countries. Our first, three WCCD ISO 37120 certified cities in India have quickly become outstanding exemplars of the lessons learned throughout the WCCD network. With the assistance of our partners at The Tata Trusts – supported by PwC – this initiative has unequivocally proven that cities have the potential to drive a culture of data that will inform decisions, investments and transparent governance. Further, this data has the power to serve as a catalyst to create truly smart, sustainable, resilient, inclusive and prosperous cities of tomorrow dedicated to the principles that unite the cities throughout the WCCD network." As reported to The Economic Times, Mr. Tata also shared additional views on the importance of the City Data for India Initiative. "It has become clear that we are now giving the cities true strength by working on data and recognizing the importance of data...The impact of this profound usage is huge. It will enable both the government and private sectors to set civic codes, evaluate outreach and finally assess the impact of policy and initiatives." The goal of the City Data for India Initiative is to contribute to improved infrastructure services and smart decision making in Indian cities as well as driving inclusive prosperity and quality of life for millions of Indian urban citizens. It will empower city leaders, decision-makers and citizens from cities across India to make data-informed decisions to improve city planning, infrastructure investment and operational performance management using ISO standardized, comparable city data. The value of high-quality city data is particularly important in India, where the urban population is projected to grow from 410 million in 2014 to 800 million by 2050, placing enormous demands on city leaders, planners, and decision-makers in all tiers of government. Shri Sudhir Mungantiwar, Cabinet Minister of Finance, Planning, and Forest Departments, Government of Maharashtra gave a keynote address on the challenges and opportunities of India’s urban transformation and the value of data. Additionally, the three Municipal Commissioners of the City Data for India Initiative pilot cities – Pune, Surat & Jamshedpur – delivered presentations showcasing their existing city data related programs and to highlight the opportunities to enhance planning, decision-making, and infrastructure investment through internationally-comparable certified city data. The roundtable also saw the unveiling of key data highlights for Pune, Surat, and Jamshedpur, based on fundamental indicators and guidelines such as economic development, water and sanitation, environment and energy, public safety, governance, and, education and health in comparison to other WCCD certified cities globally.